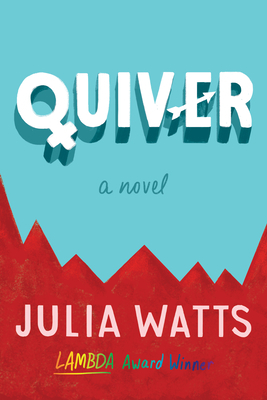 Set in rural Tennessee, QUIVER, a YA novel by Julia Watts, focuses on the unlikely friendship between two teens from opposite sides of the culture wars. Libby is the oldest child of six, going on seven, in a family that adheres to the "quiverfull" lifestyle: strict evangelical Christians who believe that they should have as many children as God allows because children are like arrows in the quiver of "God's righteous warriors." Meanwhile, her new neighbor, Zo is a gender fluid teen whose feminist, socialist, vegetarian family recently relocated from the city in search of a less stressful life. Zo and hir family are as far to the left ideologically as Libby's family is to the right, and yet Libby and Zo, who are the same age, feel a connection that leads them to friendship--a friendship that seems doomed from the start because of their families' differences. Through deft storytelling, built upon extraordinary character development, author Watts offers a close examination of the contemporary compartmentalization of social interactions. The tensions that spring from their families' cultural differences reflect the pointed conflicts found in today's society, and illuminate a path for broader consideration. A native of Southeastern Kentucky, Julia Watts has written thirteen novels for adults and young adults, most of which explore the lives of LGBT people in rural and smalltown Appalachia. Her novel Finding H.F. won the 2002 Lambda Literary Award in the Children's/Young Adult category. A novel for adults, The Kind of Girl I Am, was a finalist for a Lambda Literary Award in the Women's Fiction category, and her 2013 young adult novel Secret City was a finalist for a Lambda Literary Award and a winner of a Golden Crown Literary Award. Julia's other titles include Gifted and Talented; Hypnotizing Chickens; and most recently, Rufus + Syd, co written with Robin Lippincott. Julia holds an MFA in Writing from Spalding University and has spoken at various national and regional conferences, including the AWP Conference, the NCTE Conference, the Appalachian Studies Association Conference, and the Denham Symposium on Appalachian Literature. She teaches at South College and in Murray State University's low-residency MFA in Writing program. She was recently inducted into the East Tennessee Writers Hall of Fame. She currently resides in Knoxville, Tennessee.